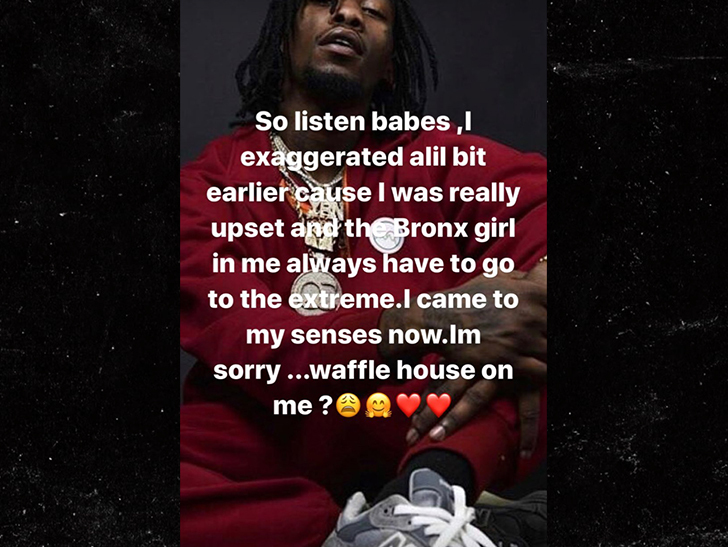 Cardi B apparently had a big falling out with Offset — she may have even broken up with him, but only for a minute. Now she says she “exaggerated a lil bit” and is now back on board. Livin’ on the extreme … it makes you change your mind a lot.